This spring, Startup Estonia launched a public procurement procedure looking to partner up with the members of the Estonian startup community. The aim of the partnership is to support innovative initiatives aimed at strengthening the ecosystem and increasing the quality of existing services and projects taking place within the ecosystem, as well as helping in kickstarting new great initiatives. We are happy to announce the 4 successful bids that will soon come to life as new exciting events and trainings for the startup community. To give you a glimpse of what projects will be launched to the market and how you can get involved, we have put together a small overview. First off, Sales Hack by Spring Hub is an intensive practical workshop with the aim to improve startups' sales skills. Together with high-level mentors who will work hands-on with the startups, Sales Hack aims to see proper sales result already by the end of the two-day training! Sales Hack has a pre-event, a two-days main event and an after-event to insure a long-term value for the startups. Some of the events and lectures will also be open for everyone interested in sales. Where: Spring Hub Registration: September-October 2017 More info: Sales Hack's Facebook event. .Cocoon by sTARTUp Hub is a pre-incubation programme for incorporating IT startups. This programme will help startups to turn their early stage idea into reality. During a 3 month period, the participant will have their own desk at the sTARTUp HUB and is going to be advised by people who have skills and knowledge on how to turn a startup idea into reality and how to survive the first 3 critical months of a startup's lifecycle. The participants can choose between different services including mentorship, finance, legal, design and marketing consultations and can get all the help needed according to their startup's needs and requirements. Moreover, the startup ecosystem will support them on their first steps in the startup world and the contacts they'll get are the most valuable asset for their startup in reaching further. The .Cocoon early stage programme will kick off on the 1st of September. Participants can apply to the programme alone or with a team as having an idea isn't necessary - those chosen for the programme can be matched with those with a suitable idea. 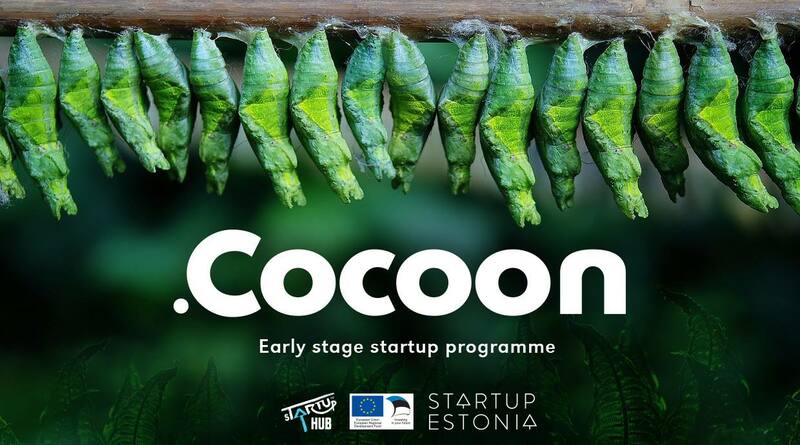 .Cocoon programme will take place in Tartu and is free for the participants. Startup Grind Tallinn by LIFT99 is part of an international brand and event series - a global startup community designed to educate, inspire, and connect entrepreneurs. It is powered by Google for Entrepreneurs - a group inside of Google that supports entrepreneurial initiatives around the world. Startup Grind hosts monthly events in 200 cities and 85 countries. It is the largest independent million-strong global community of entrepreneurs that got there by organising intimate, local monthly events with a hundred attendees, one speaker, and a single host. Founded in Silicon Valley, Startup Grind has hosted around 5000 fireside chats since its founding in 2010. Until now, Startup Grind Tallinn has hosted Mike Reiner (ex-IBM and Amazon, and the co-founder of Startup Wise Guys) and Kristel Kruustük (Founder & CEO at Testlio). The next event will take place at LIFT99 on the 28th of August 2017. Follow Startup Grind Tallinn's webpage for more information and upcoming events. The fourth and last project is organised by Trinidad Wiseman. The idea is to organise a series of seminars that will help medium and large enterprises create their own startup within the company and introduce the startup culture to keep innovation going. Target groups are executives and specialists from different levels of the company who are most familiar with the inner-workings of the enterprise. The project will start on the 24th of August, stay tuned for more information. Until then, if you have any questions feel free to write to rene.rebane@twn.ee.